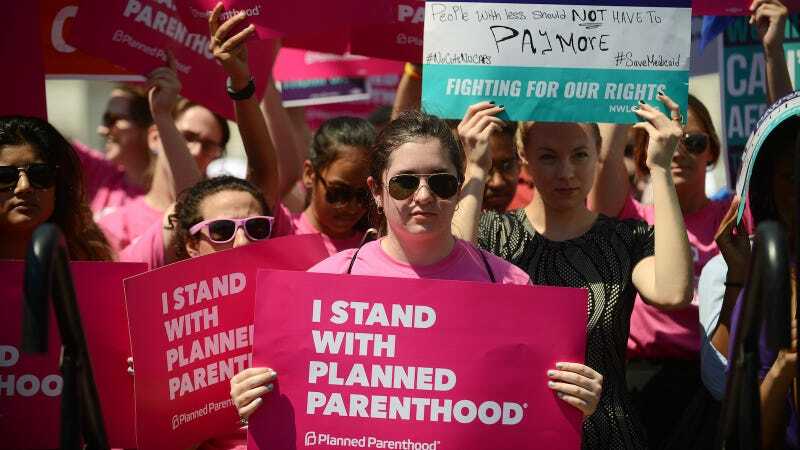 On Tuesday, Planned Parenthood announced an major initiative that aims to work with lawmakers and activists to expand reproductive rights in every state across the country. In partnership with state lawmakers, coalitions like Michigan’s Progressive Women Caucus and local activist organizations like west Tennessee’s Latino Memphis, the women’s health organization will be pushing legislation across more than a dozen states to expand insurance birth control coverage and access to menstrual hygiene products, break barriers to abortion access, and more. Danielle Wells, Planned Parenthood’s assistant director of state policy media, highlighted actions that are taking place this week, in addition to recent actions that have culminated due to previous efforts by Planned Parenthood and its partners: Legislators in Michigan, Oklahoma, and Kansas—states that are extremely hostile to abortion rights—will be unveiling a package of bills that expand reproductive rights and contraceptive access. In Missouri, another red state, Planned Parenthood is backing a bill to that would repeal unnecessary mandatory waiting period for a woman seeking abortion. Activists in Alaska are holding a lobby day to allow patients to receive 12 months of birth control at one time, while in Maine, petitioners are gathering signatures to expand Medicaid and pushing a bill that would make medication abortion accessible for women in rural areas. Activists in West Virginia are working on a wide range of issues, including expanding access to menstrual hygiene products and a sexual assault victims bill of rights. Planned Parenthood and its partners are pushing for reform even in states that are supportive or less hostile towards abortion rights. Wells noted successful efforts in California, which just passed a bill that would require public colleges to offer the abortion pill at campus health centers. In New Jersey, a bill restoring family planning center funding cleared the state Senate and hits the house floor for a vote on Thursday. (New Jersey Gov. Phil Murphy has pledged to sign it into law). In Hawaii, they hope to codify protection for abortion access through the Affordable Care Act. In Rhode Island, Rep. Edith Ajello has reintroduced the Reproductive Healthcare Act, which would protect statewide abortion access against a Trump-Pence administration. In the District of Columbia, Mayor Muriel Bowser recently signed a law pending Congressional review that would allow pharmacists to dispense 12-months of birth control without a doctor’s visit.